Have you ever heard of Atrial Septal Defect (ASD)? Apparently, it’s a congenital heart defect. If you have a defect in your interatrial septum, the tissue that divides the right side of your heart from the left side, your blood can get confused. And if that happens, you end up with blood that goes where it shouldn’t. That’s bad. 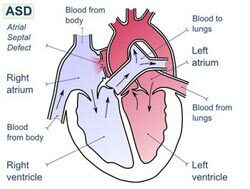 In a normal heart, the left ventricle has to produce enough pressure to pump blood throughout the entire body, but the right ventricle has to produce only enough pressure to pump blood to the lungs. In the case of a large defect, this pressure difference means that blood from the left atrium can flood and enlarge the right side of the heart and, if left untreated, can result in heart failure. That’s ASD in a nutshell. And this is why I tell you. 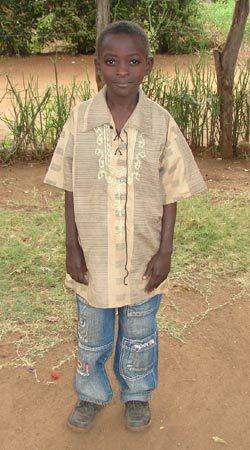 Alexander is an 8-year-old Kenyan boy who has ASD. He is in the third grade and is the youngest child in a family of five. Because his heart has been pumping deoxygenated blood to his growing body for his entire life, Alexander is smaller than most children his age. In August 2008, during an evaluation at the child development center, a pediatrician noticed that Alexander has a heart murmur. Follow-up tests in Nairobi identified the birth defect and recommended a cardiac catheterization procedure and open heart surgery. But Alexander’s parents are peasant farmers, and his mother sells fruit at the market to earn extra income. They survive on $13.70 per month. $13.70 a month is barely adequate to meet the family’s basic needs, let alone pay for open heart surgery. At this point, heart failure is a real possibility for Alexander. However, studies have shown that patients with a surgically repaired ASD have an excellent prognosis, particularly when the operation is done before the age of 25. But Alexander’s family can’t afford the operation. It costs $8,303. Alexander has been waiting to receive the surgery for several months now, since early December, but he can’t wait any longer. His condition has recently worsened – which made me think of something Amanda suggested back in February. So, Alexander has a need. And our objective is to give him a normal heart. Can we do this for him? Thank you for loving this child. As I receive updates on how Alexander is doing, I will share them with you. I can’t promise you updates with any degree of regularity though. I can just promise that there will be a follow-up. Chris is a Web Designer on our Web & Interactive Team. Thank you for posting this story and for LOVING MY(OUR) JESUS. To all who are doing so, you bring me so much encouragement. I am praying for the kids out there and I want to help. Please keep going. May Jesus Bless You All! I’m so happy he had a successful surgical procedure. It’s amazing how much the little tiny bodies can take, yet they are the strongest and most pure. My best wished to Alexander and his family. What a beautiful example of what happens when the Body of Christ comes together to be the hands and feet, reaching out in compassion to meet the needs of our brothers and sisters. Praise God that He equips His church to meet the needs of His people all to His greater glory. Praise God for the wisdom and skill of workers and doctors who recognized a need, worked to meet it, and then treated this child and his family, bringing healing and wholeness and health where it had not been before. How beautiful is the Body of Christ! Praise God that, through the raising of funds for Alexander’s surgery, the Lord has been liften up; He has received the honor and glory due Him! We just received our final update from the Kenya office about Alexander. “Alexander’s quality of life has greatly improved. His current physical appearance is quite impressive, once a hard to smile boy, he is now jovial and has brightened up. He is tirelessly assisting his mother with household chores like sweeping the home compound, fetching water and even tilling the farm. It also contains a few comments from Alexander’s mother. “I was relieved when my son got treatment from India. The worries I used to have disappeared and the family joy, peace and unity have been restored. In addition, the family livelihood has improved since I have more time to trade in the market and work in the farm. Praise God that he is doing well and back home again! It’s great that he has school holidays now to play and regain strength before starting school again. Thanks for keeping us in the loop Chris! Here is an update on Alexander from the Compassion Kenya office. Master Alexander was brought back into the country from India on 18/08/2009 after a successful surgery. The surger was done on 03/08/2009, thereafter; the child was transferred to the Intensive Care Unit for post-operative management. He did very well and was transferred to the ward on the fourth post-operative day; the sutures were removed on the seventh post-operative day and he was later discharged on 17/08/2009. Post-operative investigations similar to the ones done pre-operatively (except for cardiac catheterization) were repeated. Currently, the child is on medication as prescribed by the surgeon and is for follow-up locally. He is stable and still on school holiday as our schools are yet to resume. Is it too early for an update? I can’t wait to hear that Alexander is back home and recovering! We would like to gladly report that Alexander traveled to India on 28/07/2009. Preoperative tests were carried out and the reports reaching us are that he went through a successful surgery yesterday. As of today, he is still in the Intensive Care Unit (ICU), where he had been taken for immediate post-operative management and he is reported to be in a stable condition. He is fully awake and even able to sit. We give God all the glory and please pray for the boy. Is there any update on the pending surgery? Are funds still needed? Samaritans purse has a ministry giving needy kids heart surgery. They have done a wonderful 30 minute program on the process. The show is hosted by Billy Graham’s granddaughter, the show is on the web sight listed above. @Vicki Small – Ya know, you just might be right. I think God likes to surprise us like that–to give us little reminders that a) he provides for what we need, b) he often gives us more than we think we need, and c) he knows what’s coming! If I were a betting person, I’d lay odds that, with the need for the travel and superduper equipment, the full amount of money that was raised from this blog may turn out to have been what is needed. As in, God would know how much it was really going to take. If so, I hope it’s all still available to Alexander! Thank for keeping us up to date! The results of the diagnostic cardiac catheterization require a more complex heart and lung machine to support Alexander during his surgery. That machine isn’t available in Kenya, so the surgery will have to be performed in India – at the MIOT Cardiac Centre. The exact date of the surgery hasn’t been set yet. The Compassion Kenya office is discussing this with the hospital and is also processing all the necessary travel documents for Alexander. Yay! I’m SO thankful that the goal was met! Yay! I pray that the cath procedure will go well and that he will recover quickly. Alexander will undergo a diagnostic cardiac catheterization on June 9. What’s diagnostic cardiac catheterization? Glad you asked. Quotes are from Richard A. Lange, MD; L. David Hillis, MD, from the Department of Internal Medicine (Cardiovascular Division), the University of Texas Southwestern Medical Center, Dallas. Here is the final and official amount donated by you to Alexander’s heart surgery . . .
Everything above the $8,303 needed for Alexander’s surgery will be used to meet the critical medical needs of other children through our Medical Assistance Fund. The number is lower than I originally mentioned (@Chris Giovagnoni) because I misunderstood the tracking report I read. I apologize for that and for the delay in getting this final number to you. Again, thank you for everything you did here and for what you do everyday on behalf of the children you support and love. @Lisa Miles – I agree that having a name to put to the donation is more substantial for me. This is in fact what we are all doing through child sponsorship. Instead of just giving a certain amount every month to a charity, we are getting the help of a charity to reach a specific child. And developing a relationship that means much more than just financial support. It’s easy to help. As we’ve seen with Alexander! @Lisa Miles – I agree Lisa, however as you probably know better than me we do live in a world where we help each other, but many are not helped. I came over here today to do my part for little Alexander and almost fell off my chair when I saw that the amount needed has been raised! That’s awesome! I hope that Compassion will offer other opportunities to help individuals, as the need arises — and that God will guide us to those who would be best served in this way. In my community, we do this kind of thing all the time. Fundraisers for families whose children are ill, whose homes have been destroyed by natural disasters, who have been in accidents. I like the idea of doing it through Compassion, as well, because that’s what truly makes us a global community. When someone has a need, you’re there for them. Doesn’t matter how many miles separate you. That’s the kind of world I want to live in. @Chris Giovagnoni – It would be nice to be bale to send a handwritten card, if that is possible. @Cheryl J – I received the encouraging note that you sent to Alexander via email. Thank you. We certainly wouldn’t be able to send a gift, like a stuffed animal, to Alexander because that runs into the same issues that prevent sponsors from sending gifts like that to their own sponsored children. 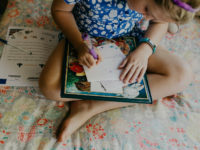 If there is enough interest in sending cards and small items, such as what can be included in a letter sent to a sponsored child, I can look into how we might handle that in this situation. Let me know. This is not the final number because we’re actually still receiving donations, but so far the total is $11,603. @Kelly Creason – Everything above the $8,303 needed is placed in to the Medical Assistance Fund. Blessed be the Lord God Almighty who supplied this young boy’s need! Will any excess be put into the Medical Assistance Fund or roll over to the next “Spotlight of the Month” need? At the end of the day we cannot know every little thing, but that is why I send family gifts so I know my sponsor kids are “getting” something for sure. They usually send a picture of what they received but I am steadily realizing the profound wealth of the intangible. I think I value my sponsored child’s prayers the most b/c I believe they are authentic as are mine. I do not care about financial integrity in terms of why I chose to get invovled with Compassion, I simply saw them as trying to help and throw TRUTH through God’s Word and practical acts of kindness in the general direction of those who need help. I like how I see Jesus’ and God’s name everywhere with Compassion and bible verses. It is important to model Godly practices being about God but I like Compassion b/c I agree with the bible and Compassion has a lot of bible verses which I like. There is more to it than that, but they are a tunnel for me so to speak to allow me to go to places and help people that often desperately need it when otherwise I probably would not be able to without Compassion. I do not think I would be involved with Compassion if they did not have the opportunity to visit, which is AMAZING b/c then you don’t have to listen to your family and friends’ suppositions about Compassion and helping others you can TELL them HOW IT IS ;)…at least on your short trip. Amazing!!!!!! I hesitated on donating and missed the blessing 🙁 I guess I’ll have to be quicker on the draw next time. @Kristen – That’s what it has become the past two days. 🙂 But rest assured, I’m getting other stuff done too. Chris – is your job just to sit and monitor the blog comments all day?!? I’m amazed at your quick responses all over the place! You rock! @Caitlin – Yes. There are two ways to do it. I was initially thinking people could write encouraging notes as blog comments, but it’s probably best to submit your “notes” of encouragement through the contact us form. I will collect them and will have them delivered to Alex. @Chris Giovagnoni – Are you suggesting “Notes” we could right to forward to him? I hope you are! @Judith Tremblay – The $8,303 included hospital and home post-op checkups. Originally Posted By Chris Giovagnoni @Cheryl J – “When a medical need arises that is more than $5,000, we attempt to raise the money because if the money cannot be raised the child development center must pay for the need by using money that was budgeted specifically for other needs. If that money isn’t replaced, then the center will do without whatever it was they pulled the money from. @Cheryl J – What did you have in mind? Anything specific? @Wyatt Roberts – Thank you Wyatt. Is there some way we can send our love and greetings to Alex to let him know we are praying for him and so excited to be a part of getting this surgery taken care of for him? I wish I could send him a bouquet of balloons!!! I hope you understand that I don’t think you were trying to mislead anyone. It may be that, because of my history, I’m just overly sensitive on this issue. I don’t know. In any case, I appreciate your clarification and am thankful the goal was met. BTW, I sure don’t think you put a “thorn in my side.” Thank you for all your hard work…God bless you! That’s an amazing amount to be raised in only three days! I’m wondering…the cost of the surgery was listed at being just over $8,000. If we raised more than that in an effort to raise money specifically for Alexander’s surgery, will the remainder be used for post-op checkups, medicine, etc? or will the remainder be diverted to the Medical Relief Fund? Not an “official” total yet. I won’t have that until tomorrow. But it’s looking to be around $10,000. Praise God! I love a forum where we can discuss our concerns in a civilized way without anyone resorting to the nastiness that we tend to see in debates these days. Wyatt and Chris, you are both humble servants, forthright enough to voice concerns and appreciate each others viewpoints and I am so encouraged to see it. To my friends who are not associated with Compassion, this kind of a plea does seem a little shady. I had one of them ask me “what are you going to do when they call you and say your sponsored child needs $10,000 for a surgery and they’re going to die if you don’t pay it?” my response was that Compassion would never do that. After being involved for only 2 months and spending hours reading these blogs I have full faith in the integrity and mission of this organization. Keep up the good work!! And it appears that what I didn’t say in my previous reply is that I’m sorry for upsetting you and causing confusion. Please accept my apologies for not saying that before and for creating the situation that required clarification and an apology. I am sorry. I did not design or intentionally shape my words to lead anyone to the conclusion you came to. However, I do see how you arrived at it. The message that is received from any piece of communication, written or spoken, is often in what is not said, rather than what is said. It is not a leap to draw the conclusion you came to, and if you felt that way, I’m sure others may have too. This blog is a place of authenticity, transparency and sincerity; which seems to be the opposite of what you experienced. I’m grateful that you rose above the thorn I placed in your side and made a donation, as well as encouraging others to do so. Thank you for giving me the benefit of the doubt, while at the same time asking for accountability. @Vicki – You don’t need to apologize for anything. I did get the impression you worked for Compassion, but that’s no big deal. I’m glad you feel such an affinity for them. Listen, I ABSOLUTELY AGREE 100% in personalizing an appeal, helping donors put a face and a name with the money they contribute. I was moved by Alexander’s story, posted it on my facebook profile, and made a contribution as well. However, it *really* bothers me when I read an appeal that is even remotely disingenuous or seems to be designed to lead the reader to a conclusion that really isn’t the truth. And, in my opinion, this, if it doesn’t qualify, would come very close. And so on. Let me reiterate, My wife and I greatly appreciate the work Compassion is doing. Their work on behalf of the poor and needy is very close to my heart. I also realize how easy it is to become so zealous in our promotion of a cause we believe in, that we find ourselves not being as careful as we should when we ask people to help. Thank you Vicki, Thank you Vicki , Thank you Vicki I hope it is alright that I got 3 blessings!!!!!!! I like how you asked a good question. Wow…amazing! I totally missed this as I was out of town. Seems like the money was raised very quickly. Praise God! @Wyatt Roberts – Oh, Wyatt, I owe you an apology! I do tend to use “we” a lot, when I’m talking about Compassion, because it is so much a part of me and my life. However, I probably gave you the impression that I am employed by Compassion, and I am not. I am a sponsor, like you, and a volunteer/member of the Advocates Network. Have you considered joining the Network? Just read that the goal was met…praise the Lord!! You’re correct. I didn’t read all the comments before I wrote — and I should have. I do love you guys and, of course, remain very supportive of Compassion. Thank you for giving me another opportunity to be the hands and feet of Jesus. Just saw the update via Facebook…So glad to hear that the goal has been met!! Fantastic! Thank you, Lord, for enabling all who contributed to do so, and bless each one! Wyatt, I know there are a lot of comments and maybe you don’t have time to peruse them all. But if you would take a minute to read Chris’s explanation (#18), it might help. I’m sure everyone on here appreciates your support of Compassion. You probably also know how the demands on Compassion’s resources have ballooned, this past year, what with the dramatic rises in food costs and the impact disasters on several countries. With the majority of the field-partner countries having begged for millions more in order to feed the children at the center, Compassion cannot be said to have extra cash for those medical needs that exceed $5,000. Until yesterday, I wasn’t aware of that limit on that fund, but it makes sense to me that they would have to have a limit, so that they wouldn’t spend huge amounts to help one child and leave others, just as deserving, to go without help. I’ve gone through all of that, realizing you might now be thoroughly ticked at me, to say please don’t blame Compassion. The decisions they face every day in the effort to do what needs to be done and to meet all the needs they can would send most of us home in tears, many days; call it a hunch. Bless you for your heart for these children! You’ve done it! On top of 1 million sponsored children, we’ve reached our goal for Alexander’s surgery. Thank you sooo much! You are amazing! @Adrienne McWithey – I’m itching to report a total, but I need to wait until the end of day processing occurs, to make sure the amount I quote is accurate. But we have surpassed the $8,303 need. What is true is that Alexander needs heart surgery and he has been waiting for the surgery since December. His condition has recently worsened, meaning the surgery has to occur sooner rather than later. We saw Alexander’s need as something our blog readers, Twitter followers and Facebook fans would connect with. Alexander offers a visible and relational connection to the ministry that we all love. Donating an amount to his surgery fund is different than donating an amount to a general fund like Medical Assistance or Disaster Relief. Alexander is personal. He represents why we do what we do. If no one gave any money, Alexander would still get his surgery. The surgery gets paid for through our Complementary Interventions program, which everyone donating is participating in. Originally Posted By Chris Giovagnoni @Cheryl J – . . . When a medical need arises that is more than $5,000, we attempt to raise the money because if the money cannot be raised the child development center must pay for the need by using money that was budgeted specifically for other needs. If that money isn’t replaced, then the center will do without whatever it was they pulled the money from. That is what we’re trying to prevent. Chris I think we are all itching for a total raised so far!!! I can’t help but be excited seeing God move through His people…woo hoo! United we can do something specific and magnificent. I have it as my facebook status and hopefully we will get more donations. Do you have the most recent total? Thanks for putting this on Facebook, I would have missed it otherwise! I want to encourage all of you to give, if you have $1 or $100 you can give…little is much when God is in it! Praise the Lord!!! I have been feeling burdened by The Holy Spirit lately to do more, to be a blessing to others…and I have been opened up to several new and different ways I can make a difference in the name of Jesus! None of the glory is mine, the Lord has provided…I just follow His leading! @Tamm – If you click on the blue “Make a donation” text in the post, it will take you to the page where you can make a contribution. Or you can go directly to compassion.com/alexander and donate. I am brand new here. I want to donate but don’t know what I need to do? Can someone tell me how? I also added Alexander to our prayer chain at church. great news-. i have posted on facebook and twiiter plus donated and sent in a gift match w/ my company. That’s more than some Sponsor Tours!!! Yay!!!!!!! Thanks for the opportunity to help, Chris. Please keep us posted! Awesome news, Chris! I donated and posted a link on my Facebook page yesterday. I love seeing the total grow! Hi y’all. You’ve contributed $3,450 so far. hahaha!!!!!!!! I didn’t realize it was so easy!!!!!!! Well maybe it just looks easy from my end as I see that the $8,303 will be raised shortly here. Great to see!!!!!!! I blogged it, and put it on FB! Just posted a link to this post on my blog. I look forward to hearing that the amount has been raised in short order, and that Alexander is ready for a new start in life! @Stacey – Hopefully we’ll reach $8,303 in the next day or two. The link definitely helps. Thank you. Wow! How long will you be raising money? I want to donate something too but I’m a student at the moment so the funds are kind of tight. But in a month or so, I should be better prepared. In the meantime, I’ll put a link to this post on my blog. It’s fairly new so I don’t know that a lot of folks will see it. But, if one person sees it, maybe they’ll be moved to help. I’ll be praying that the money is raised for Alexander’s heart surgery speedily! @Alan – Thank you very much! We’re at $2,400 right now. I donated, and have posted it on my facebook as well as sent emails to about 50 family members and friends. My oldest son had heart surgery about 14 years ago when he was 6 weeks old (coarctation of the lower aorta). We were so blessed to have a wonderful pediatric surgeon whose name is Dr. Alexander. Thank you for an opportunity to help this beautiful boy! I’m going to post it on Facebook too! I have 338 friends on there, so at least one person should be able to help! I love your idea, Caitlin. I posted it on facebook. I’m having a late night thought here, so if I wake up in the morning and it turns out it wasn’t brilliant, I blame sleep deprivation. This may take more work than it would be fruitful, I don’t know. So here it goes, shoot it down as you please, I promise not to weep in public 😉 . If I could, I would have donated the entire amount, but as it turns out, I didn’t manage to find a winning lotto ticket in my pocket today, and I’ve already given all that I can. I am sure a lot of us feel this way. So here’s the thought: quantity. I would love to get the word out by posting something on face book, like a widget. Something, simple, maybe just a picture of Alex and a simple, catchy phrase like “Alex needs a heart, click to find out what you can do” and have the widget link to this blog, so that people outside of the compassion blog have an opportunity not only to donate to Alex, but to get to know more about what compassion does. I already have a “Sponsor Me” widget up on my social sites, but sometimes I think that people are impersonal/numb to it. I would love a “Alexander needs a life saving surgery” widget. As for that lottery ticket, I’ll check my pocket again tomorrow, but I think you have to buy one in the first place in order to win. @Tina – The surgery will be performed in Nairobi. I think it’s a great idea to share about the special needs of particular Compassion children like this. I am happy to be able to help – can only give a little right now, but I will pray a lot! 🙂 I’ll be looking forward to the update. Just curious – where would the surgery be performed? Are there hospitals in Kenya that can deal with this kind of thing? We are almost 10% and this is just the first day!!! I am excited that we will be able to help Alexander…and can’t wait to hear the updates! I am contributing what I can…it isn’t as much as I would like, but if we all pitch in what we can I am sure it will make a huge difference in the life of this precious little boy! God bless! So far you have donated $807. Thank you very much. Compassion U.K. has let the sponsor know about Alexander’s condition. Sweet, let’s do it! Does his sponsor know? Thank you so much for going forward with Amanda’s idea in this way! I am glad that you seek to keep up the one-to-one relationship with our kids and still give us the opportunity to help out with large needs and have a face to put to our donations. I have been to Kenya and I got to see Compassion’s work there. I will be praying for Alexander. I can’t wait to hear of Alexander’s successful surgery! Great idea Amanda! This worked well to buy a delivery bike for a family in Indonesia (?) a while back. I love the idea. I met a boy in the Dominican Republic who’d had a heart defect. He had been flown to Michigan for his surgery, and is now well because of it. He was very excited to have a photo taken of his scar. @Chris Giovagnoni – Thanks for the clarification. I knew about the medical fund, but I didn’t know there was the $5,000 limit per case. @Cheryl J – Yes. The specific Complementary Intervention (CIV) that you’re thinking of is the Medical Assistance Fund. When a medical need arises that is more than $5,000, we attempt to raise the money because if the money cannot be raised the child development center must pay for the need by using money that was budgeted specifically for other needs. Well I was blessed $4 more b/c there was not enough change at the front desk for $60 to make it $56 so now, Alexander’s surgery cost is down to $8,303-60= $8,240!!!!!!! We are praying and want to help with the cost, too! Thanks for letting us know about Alexander’s need! I am happy to donate to this and love the idea of the “spotlight” of the week or month. But doesn’t Compassion have a fund that covers these types of medical needs? Has there been just too many needs and depleted the fund? I’ll be praying for him! Thanks for the opportunity, Chris! I’ll see what I can do for Alexander–even if it’s “just” pray! I work best with cash, I will drop off $56 to the front desk at the GMC, that way you only need 147 more people to donate and soon I pray that I will be reading about Alexander’s professional athletic career in the years ahead!!!!!!! Thank you for letting us know of Alexander’s need and giving us a way to help! I think this is a great idea.